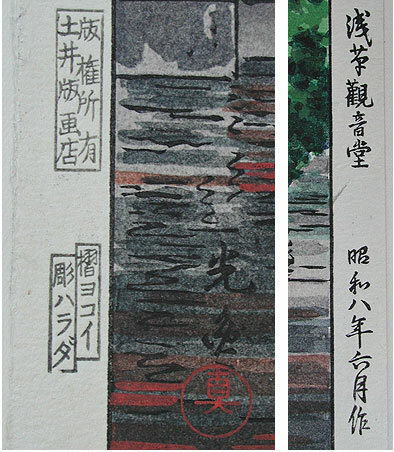 Excellent Condition: This is one of four Woodblock Prints we are offering by the master print maker "Tsuchiya Koitsu". 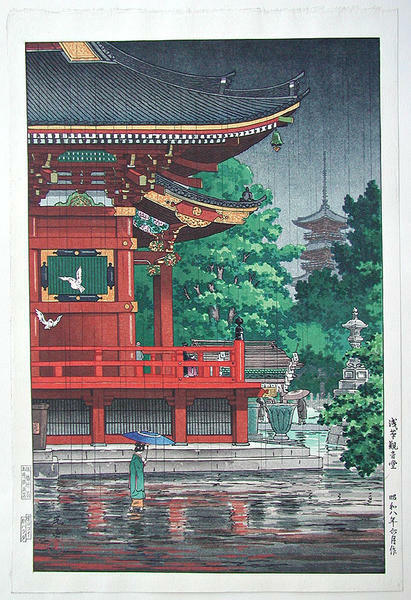 The name of this print is "Rain at Asakusa Kannon Temple". It was made in 1936 for the publisher "Doi Hangaten" The print is in excellent condition. 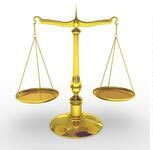 It looks to have full, uncut margins. The colors are clean, fresh and vibrant. The print is 15 ½" long by 10 1/2" wide. The print is lightly tacked down in the upper and lower left hand corners. The print has a water mark witch looks like a circle with Japanese character in the center. There is not any damage on this print.